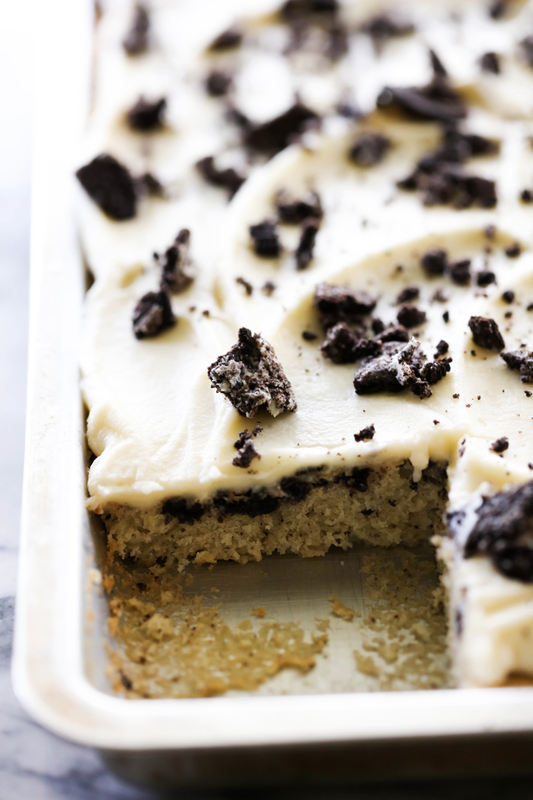 This Cookies and Cream Sheet Cake is super moist and absolutely delicious! It is perfect for parties and get togethers. 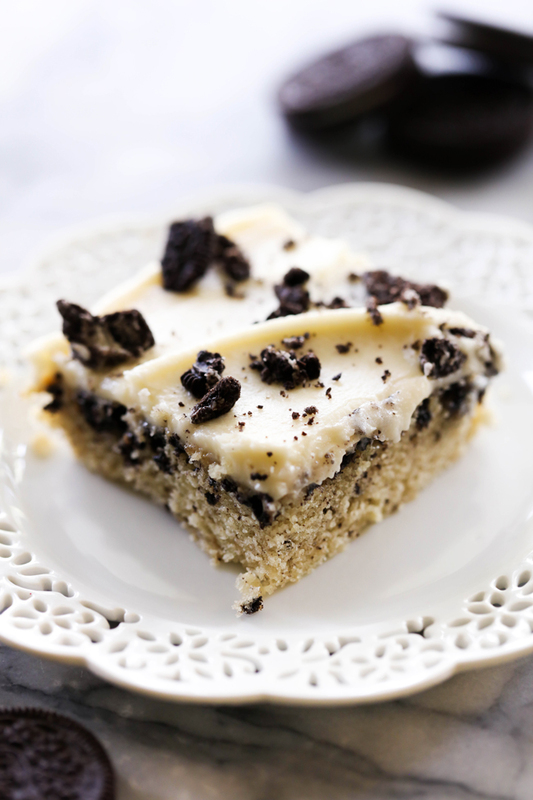 It is loaded with Oreo Cookies and topped with a delicious creamy frosting. Cookies and Cream has to be one of my favorite flavors of desserts. My husband’s favorite treat is a tall glass of milk and Oreo Cookies. He loves when I find a way to incorporate them into desserts. This cake was absolutely delightful! It is so moist and the crushed Oreo cookies throughout the cake create such a fantastic flavor. Then when paired with the creamy frosting, you get a match made in heaven! This will definitely be a recipe I revisit often. It was a huge hit with every single person who tried it. Combine all frosting ingredients and beat until creamy. Spread evenly over the cake and top with crushed Oreos. Should the filling of the cookies be scraped out prior to crumbling? And do you mean 15 cookie halves or 15 whole cookies (both sides of each sandwich)?